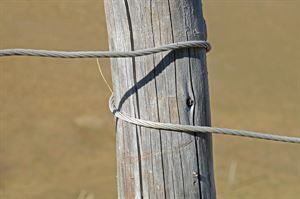 We offer used cable for fence in sandline ranging from 9/16" - 5/8" and shot line ranging from 1/4" - 1/2". Horizon Cable has the ability to provide up to 2 million feet of fence cable allowing users to complete the largest of projects. Discount pricing available on bulk orders as well as delivery upon customer requests. Meets the performance requirements of Federal Specifications FF-T791b,Type 1,Form 1 - Class 4,and ASTM F-1145,except for those provisions required of the contractor. Meets the performance requirements of Federal Specifications FF-T791b,Type 1,Form 1 - Class 6,and ASTM F-1145,except for those provisions required of the contractor.